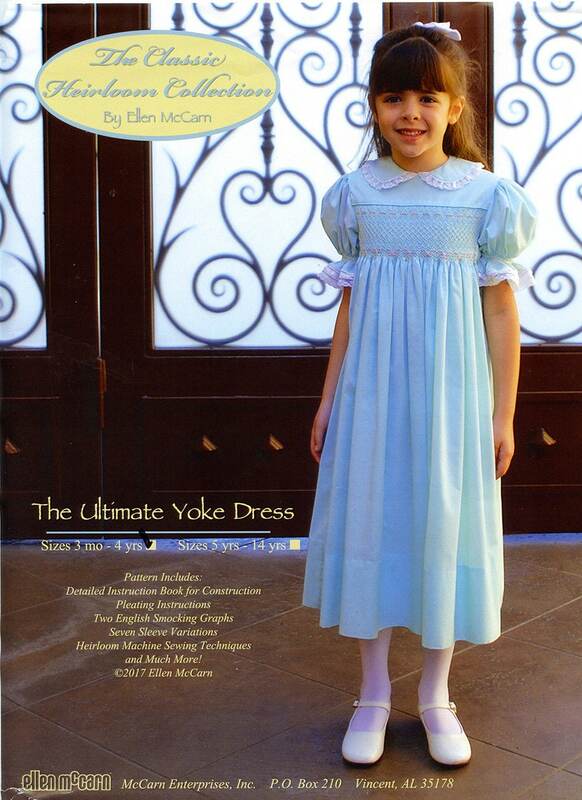 The Ulitmate Yoke Dress Pattern by Ellen McCarn is compatible in size with the Bishop Dress. Both are sized according to the National Institute of Standards and Technology in the U.S. Dept. of Commerce. 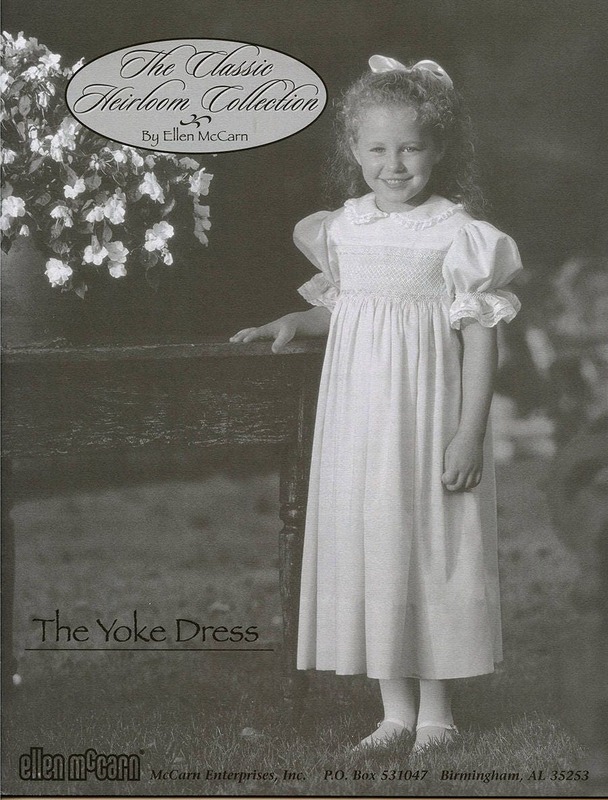 The pattern includes a 24-page, step-by-step instruction booklet, with over 180 illustrations. 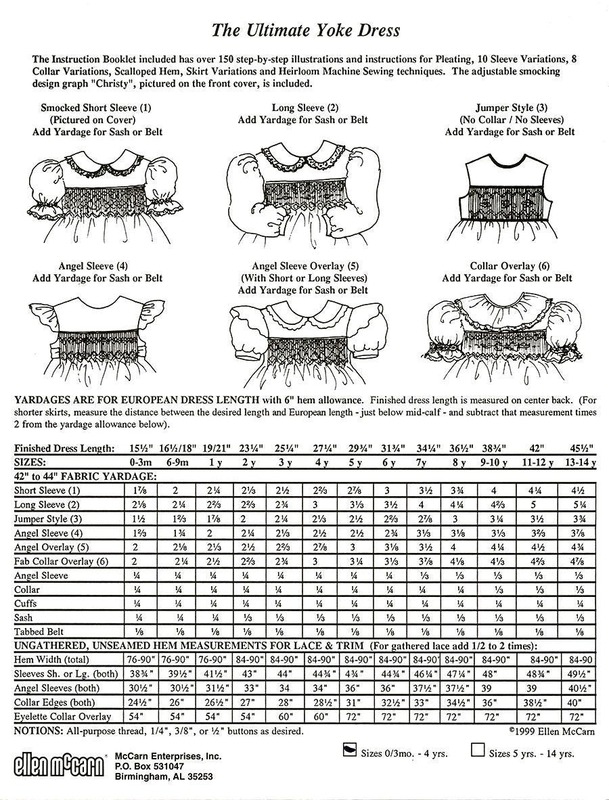 There are instructions for pleating, for 10 sleeve variations and 8 collar variations, for a scalloped hem, and for skirt variations. Ellen has included heirloom machine sewing techniques and a multi-sized Smocking design "Christy"
Ellen's instruction booklets are so good that I have even recommended buying the pattern just to get the instructions.